How are your cabinets shipped? What if I receive a damaged cabinet? Do you have samples or can I see the cabinets? Does your cabinetry come assembled? Q?How long will it take to receive my cabinets? Cabinetry is “Built To Order” enabling you to choose, the wood specie & color of your choice. Typical lead time is 4 to 6 weeks for construction, plus delivery time. Delivery time will vary depending on your location, but usually runs between 3 to 10 days. Q?Is it safe to purchase over the Internet? Many people have concerns about ordering on line. We suggest you purchase your cabinetry using a major charge card. Charge cards offer you a great deal of protection. Master Card or Visa will stand behind the consumer in the event of fraud. For your convenience, we also have an online payment form where you may enter your credit card information securely. We do not see this information, all that we see is the shipping address and that payment has been made in XYZ amount. We are a member of the Better Business Bureau. You may verify this by clicking the BBB emblem on our web site. Also, we are a verified merchant with Authorize.net. Q?How do you charge for shipping? At your request, we can ship your order “freight collect”. If you don’t specify at the time of ordering, it is understood that you agree with our selecting the best carrier for you and will pay for shipping in advance as a part of your purchase price. Q?How are your cabinets shipped? A common carrier freight line. Customer arranged pickup from our warehouse. Delivery methods will be discussed with you when you place your order. Small orders may be sent by UPS or FedEx Ground at your request. Q?How much will shipping cost? Shipping costs will vary, depending on your location and the size of your order. For an average freight figure, add 10% to cost of order. On small orders or orders very far away such as in California, Washington State, Etc, freight rates may run higher. Freight rates on out of state orders will be greatly offset by the fact that no sales tax is due. We will furnish you with an estimated freight cost when we figure your quote. Norcraft delivers direct from the plant. Regardless of the size of your order, freight will never exceed $500 (even for an entire truckload). Typical Norcraft freight varies from $150-$250 anywhere in the continental USA. Email us Today to get a personalized quote. You can also request a quote by clicking here. Q?When will my cabinets arrive? You will be notified once your cabinetry has shipped and give you the tracking number for the carrier who has your shipment. You can then call your local terminal to get an exact day of delivery. First, pick out a door style you like. Then furnish us with either a list of cabinetry or a floor plan of your kitchen. Also, we will need your zip code in order to figure freight. Fax or e-mail us this information along with your contact information such as an email address or return fax number and/or phone number. You will receive a quote on delivered cabinetry from us in one to three days, depending on the time we receive it. Please see our How To Order page by clicking here which will provide more specific information. Q?What if I receive a damaged cabinet? Damage is rare, but it can happen. All cabinetry is boxed for safe shipment. Common carrier shipments are palletized, bubble wrapped & strapped for extra protection. Be sure to indicate on any receiving tickets from a freight carrier what items are damaged. If damage is not noticed until the package is opened (known as concealed damage) call the freight carrier & have them send a rep out to verify damage. We will handle all damage claims, but we must have documentation. Should you receive a damaged item that has been confirmed as a manufacture defect, notify us at once. We may request you to send the cabinet back to us so we may send you a replacement cabinet at no charge. Q?Do you have samples or can I see the cabinets? 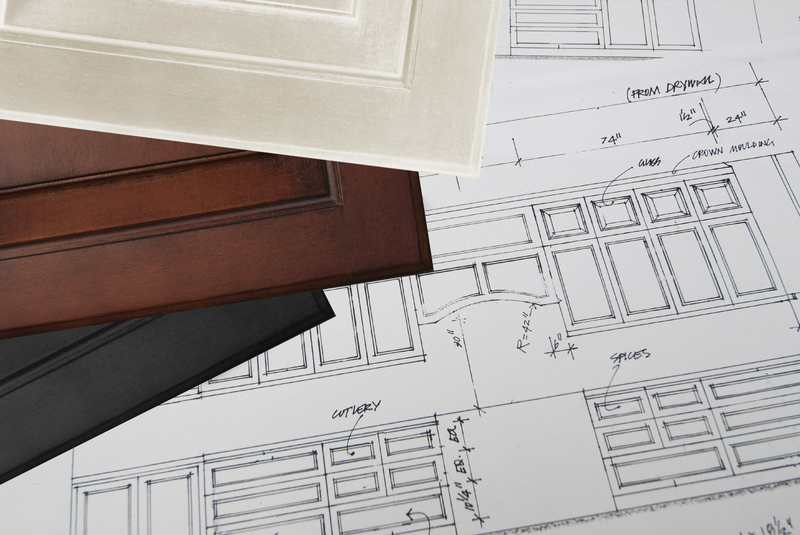 After receiving a quote from us, you can order a cabinet door or stain block before ordering your desired cabinetry. That way, once you are satisfied with the finish/style, you may order the rest of the cabinets on your list. Please email or call us for additional sample information. Q?How do I place an order? Please see our How To Order page by clicking here. We require 100% prepayment. Please call us to make arrangements or with any questions you may have about how to pay for your order. Our experienced sales team is here to help you in any way we can. Q?Does your cabinetry come assembled? Most of our cabinetry comes fully assembled & ready to install. Generally, you will not have any assembly other than installing accessory items. JSI Cabinetry is a RTA (Ready to Assemble) line of cabinetry that comes unassembled by default, but can be ordered assembled for a small fee per cabinet.